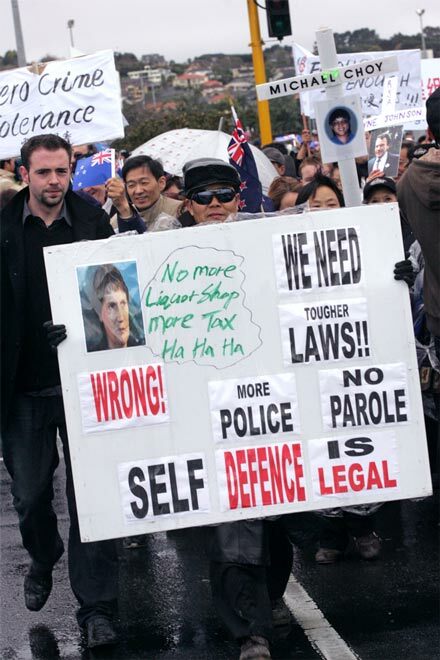 In July 2008 more than 10,000 people marched through Botany Downs, Auckland, to protest attacks on Asian residents in South Auckland and the fatal beating of Michael Choy. The march also called for tougher sentences to be given to violent offenders. It was one of the first times Asian New Zealanders had organised such a public protest.